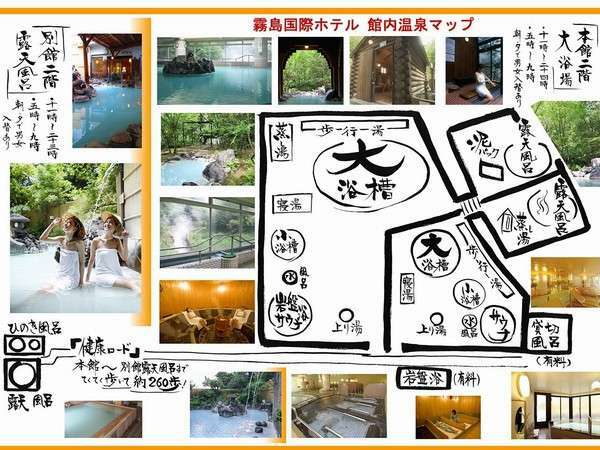 Probably Many foreigner have interest in Onsen. How to take Onsen? Manner and any rules? Do I need to wear swimming suite? Everybody feel nerves at first time. Once you take Onsen, you will be addicted to Onsen. 1. Take off all clothes. Don’t wear anything. (some people wear only necklaces and rings) You can take small towel to wash your body. It’s best to use coin lockers for any valuable items or documents. 2. Washing carefully BEFORE you enter the water is the most important part. Usually there is washing area and are small stools to sit on. Rinse the stools quickly before using. Please care about next people in the washing area. Your washing splash might reach next people. 3. After washing your body, it’s time to go into bath tub. Please enjoy your relaxing time. Taking photograph is not allowed. 4. If you feel really tired, take some water or go out of tub and take some fresh air. When you got cool down, you will feel better. Let’s go another round! 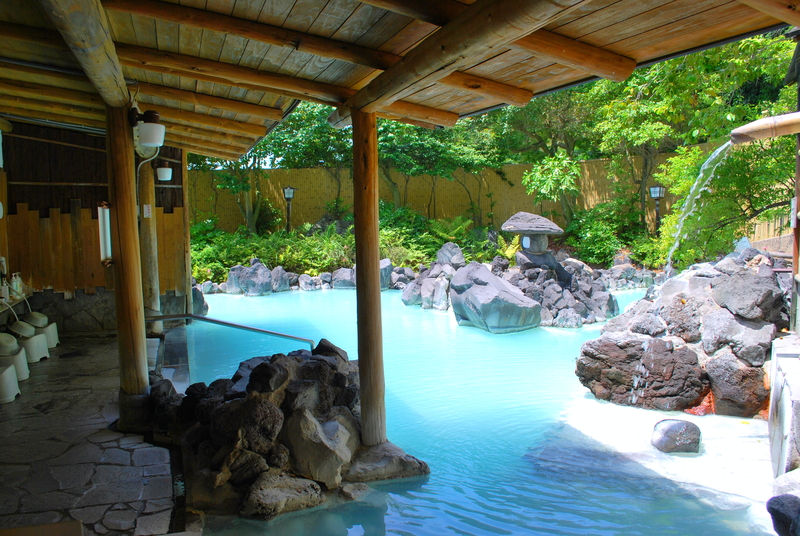 We have many type of Onsen which never makes you bored. Especially ‘Byakushi no Yu’ 白紫の湯 is really beautiful! You will be attracted to the color of Onsen. The quality is also great. There are many fan of our Onsen. You can take Onsen many times! Before dinner, after dinner, in the morning. Please enjoy Onsen at Kirishima Kokusai Hotel.